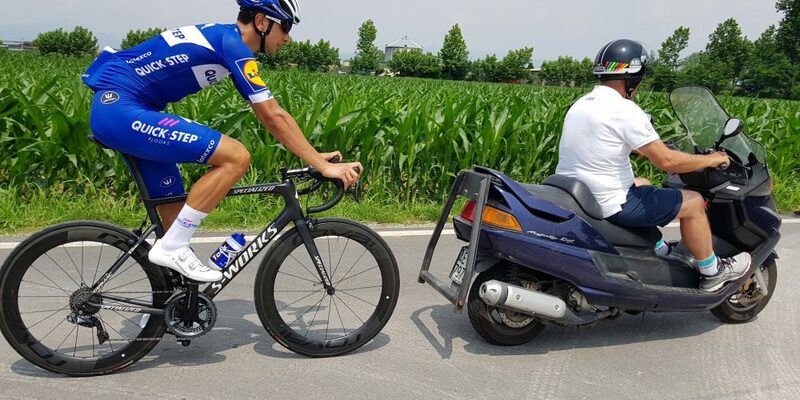 There were athletes running in the Giro d’Italia and others that have carried out a detached after a very intense spring and they are already projecting themselves towards new sports aims in the second part of the year. 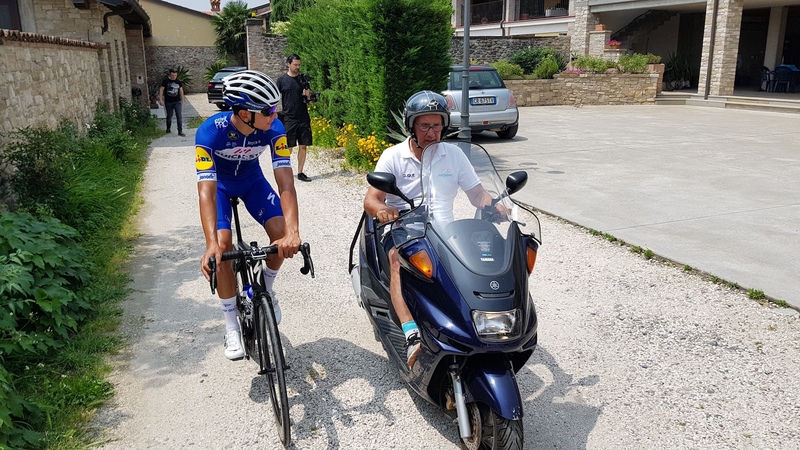 It can happen that, in the middle of the season, there are some resting days, this has happend to Davide Martinelli, in order to recover the physical and mental level. “It is so – explains the strong rouleur of Lodetto di Rovato – an athlete needs some break from the physical and also psychological point of view. Everything has been agreed with the team, it is just a matter of planning and now it’s time to start”. Re-start is a delicate phase and it must be handle in the correct way. “Now I’ll tell you better. Since the physical condition is still good, you have to start immediately with a certain intensity, you can no longer allow yourself to resume slowly, as instead happens in winter. I immediately make the famous triplets. 4 hours, 3 hours and a half and finally 5 hours. Then, it follows a day of unloading and again 2 triplets interspersed with a day of unloading. At this stage one feels tarred, a term that is not really correct, but which explains well the feeling of lack of fluidity, of brilliance in the cadence. However, rest also leaves strength in the legs. “Yes, you have a strong leg. You miss the change of pace that after a week from the recovery you can find again. How can I improve myself? With motor-paced cycling sessions. I usually do them 1-2 times a week. In this period, however, I arrive 3 times in 6 days. It’s an exercise that I’ve been doing for 6-7 years and that helps me with the rhythm. If I ran, there would be no need to do it because in the race you do 4-5 hours at a high rate. 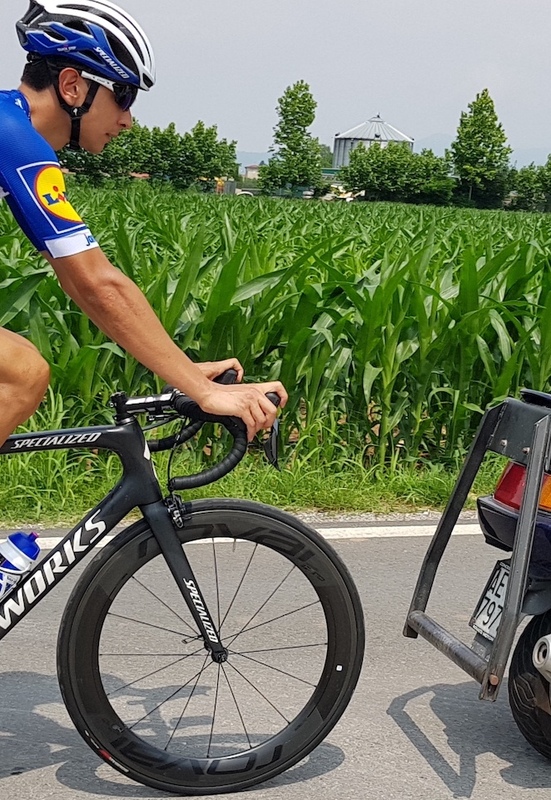 Instead, when you train alone, at 35 km per hour you go at 90 rides, but then it is easy to get off that threshold because of the wind and other variables.. In the race you set an important input and therefore, if you want to replicate it, during the preparation you have to succeed to create a similar one for 2-3 hours “. (The detail of the roller on the bike). Motorpacing is, however, a very delicate task to deal with. “We have to be very careful, find the right people and have adequate means. Personally, I can rely on a staff of 2-3 trusted collaborators and moreover I directly took care of the realization of the vehicle: a motorcycle with a roller positioned in the back. This allows me to go against it without any problem. A blacksmith made it, even its smoothness is important, it must turn well. The relationship with the person who drives the bike is also primary. It is necessary a profound knowledge and feeling. I feel very comfortable with my dad, or with the coach I used to have when I was Junior. Even with my cousin Claudio I’m in tune, the bike was of his property once. When he drives, I feel as I was running. An important mix is ​​established: knowledge of the vehicle, of the person and of the roads “. (We are getting ready to go out for the motorpacing). Here is a further detail: “The paths are varied as there are various the stimuli to be given to the muscle. I have different options. For example, the motorpacing in the hilly is used to simulate the last parts of the race with strong strains and recovery downhill with a phase in the plain. It is an important neuromuscular activity”. And again: “The work in the plain is useful instead to stimulate cadence. 45-50 per hour on a path where I ride less from the point of view of intensity but with long bearing, such as the 53 × 11 that is easy to push because there is no air resistance”. How are these jobs divided? Before the hard races, we train in hilly, but if the path is flat I train myself in the plain. As I did before the Tour of Fjords, I performed sessions both in the plain and in the hilly because the last stage was very demanding and a change of pace was required, considering that I didn’t race for almost a month. “In an hour of hilly, I pedal at about 40 in average with a power that is around 280-300w in average and a cadence of 90-95rpm. Instead, in a session in the plain you can reach even 48-50 km/h in average, of course I choose the less busy roads in absolute, I assure you that there are roads in the south of Brescia where in an hour I meet yes or no 5 cars , the average power is around 260-280watt and the cadence is close to 100 rides per minute. 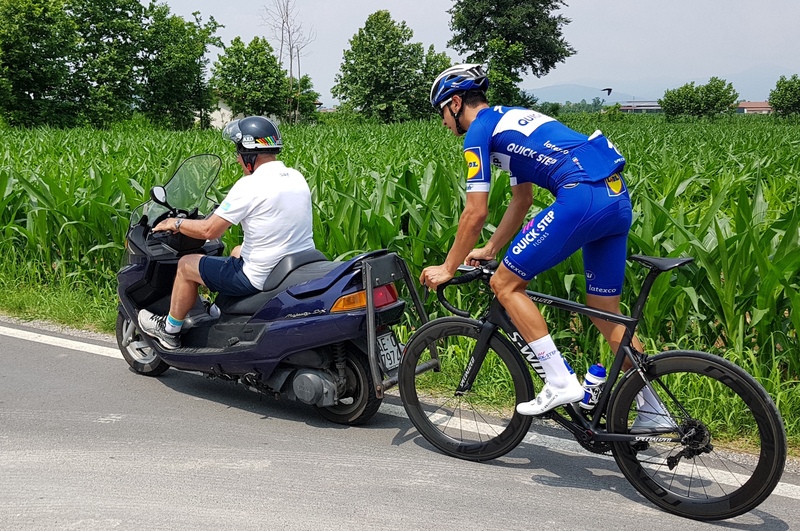 (The motorpacing also on hilly paths). Now it’s time to run, with how much fitness do you arrive? “I was close to 100% of the condition when I disconnected. The assessment was this: Between the Frankfurt race on 1 May and the Tour of Fjords there was a lot of distance, so I could not always keep the level high, so we chose to rest. I returned with a performance of 85%. Let’s say that in a month, since it comes off, you can find a good condition. To get to 100% it takes at least 45 days, if there are no hitches, so in view of the National Championship I should be in excellent condition”. Did you like this article? Remember to download the Sportplushealth app. The new Android version is ready and soon IOS too.